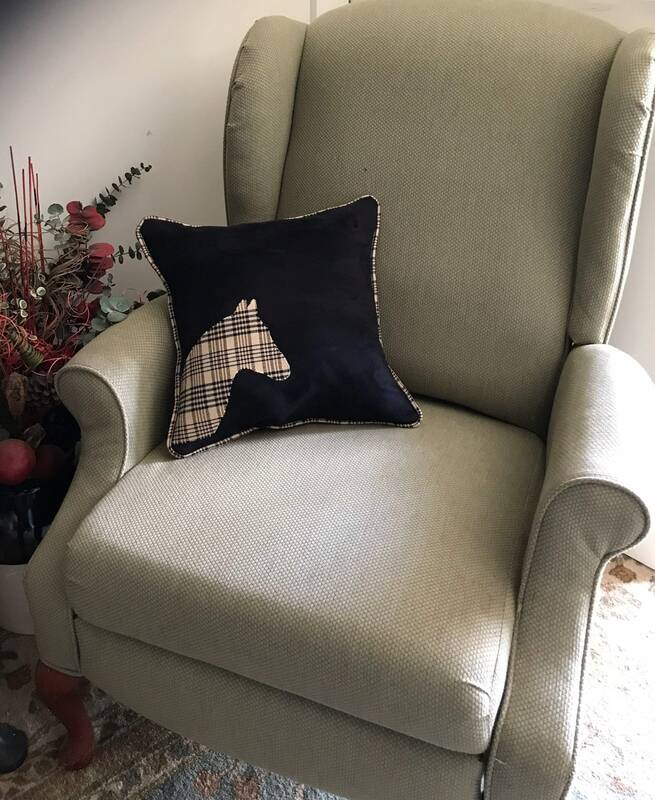 Equestrian Horse Pillow Gifts w/ Horse Silhouette Authentic Black and Tan Horseblanket. 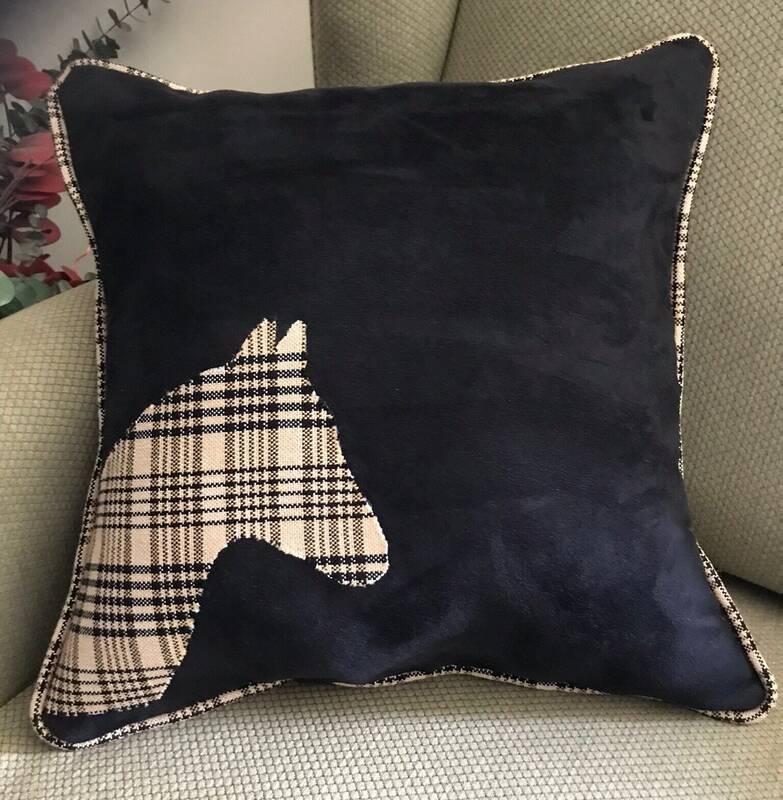 I created this silhouette pillow made with a baker blanket and a super soft rich faux suede as a companion piece to the large blanket pillow with surcingle but is amazing as a stand alone piece.. this pillow can be made in either tan or black faux suede and we can also use a different silhouette if you like. Message me and we can customize these pillows in any color, any size or any silhouette to go along with your decor. At horse shows the silhouette pillows are the first to go!